Airline travel Philippines getting here and away. Airline travel Philippines - How do you get here? The best way to get to the Philippines is to fly. The majority of airline travel Philippines goes through the capital Manila. 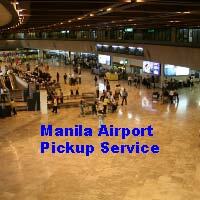 it is here you will land at the Nino Aquino International Airport (NAIA). From here you can explore every one of its 7,100 odd islands. There are flights to Manila from just about all of the Philippines, Asian neighbors, Hong Kong, Singapore, Thailand, Japan and Malaysia, as well as direct flights from the USA, Australia and most European countries. As you can see there is absolutely no excuse for you not to come, airline travel Philippines has made getting here very easy for you. Airline travel to the Philippines - Do you want to know how long your flight to the Philippines will take you? There is only two (2) direct flights from Australia, you either take QANTAS or Philippine Airlines. The other options are via other Asian countries, for example you can fly Singapore Airlines via Singapore to manila, this can prove a long way to get here and not necessarily cheaper. The flight will take you approximately seven and half (7.5) hours. So sit back and enjoy the on-flight movies. You can fly from San Francisco, Los Angeles, and Honolulu and not make a stop and arrive in Manila. It will take about twelve (12) hours from San Francisco, twelve and half (12.5) from Los Angeles and nine and a half hours (9.5) from Honolulu. Just remember it is a long flight, however once you get here, you will not be disappointed. Most of the European flights will require a change of flight either in Singapore, Bangkok or Hong Kong which is no big deal, it is all part of the adventure you are embarking on. Cheap deals come and go depending on which Asian country is in the mood. 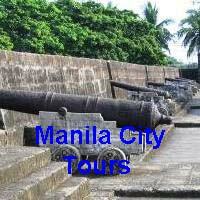 You can get yourself airline travel Philippines from all the Asian countries. Some airline travel to Philippines will even fly you direct to Cebu or Clark Airport in Angeles City, if you want to cut out Manila.